Sambalpur is located in the eastern county of India at a distance of 320 k.m. from the capital of Odisha, Bhubaneswar. 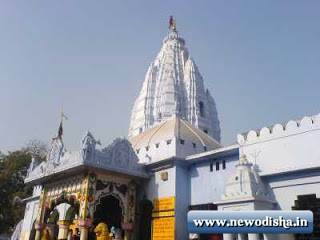 The Samaleswari Temple is situated in the central area of the city Sambalpur, Whereas it used to be known for its importance as a diamond trading centre, nowadays it is mainly known for its textiles. It’s a good place from which to explore the surrounding forests and spot some of the rare species still roaming the area in one of the wild life sanctuaries, such as the well-known Badrama sanctuary. Although Sambalpur does take a prominent place in Indian history, it does not have that many historical sights. The most important temples in the district, such as the Budha Raja or the Samaleswari temple, are located at a few kilometres’ distance from Sambalpur. The Hirakud Dam, the longest dam of the world, is some 15 kilomtres from Sambalpur and can be easily visited on a daytrip. Sambalpur is famous for Sambalpuri songs, dances, forest and world famous Sambalpuri handloom fabrics. The rhythmic beats of Sambalpuri drums are heart- pounding and pulse racing and create profound joy. Maa Samaleswari temple is positioned on the reservoir of the river Mahanadi, Sambalpur district, Orissa। It is a famous Shakti Peetha. It is a very well-known among the people of Orissa and Chhatishgarh state. Maa Samaleswari is worshipped as a form (deity) of Goddess Durga. The Goddess is famous known as ‘Shree Shree Samalai Devi’ or ‘Maa Samalai’. The icon of Maa Samalai is made out of granite rock. Few decades before, animal (buffalo) sacrifices were done in the temple, which has been stopped now. Local people have a strong believe on ‘Maa Samaleswari’. See other Temples in Odisha. There are direct trains to Sambalpur from Delhi, Kolkata, Bombay, Chennai, and Ahmadabad. Buses from main cities also run to Sambalpur in National Highway. The nearest airport is in Raipur (270 km). From Bhubaneswar airport the distance is 320 km. There are hotels and guest houses available near the temple for accommodation. Give Responses for "Samaleswari Temple of Sambalpur"